Is the Sacred Heart Leading us? November 2, 1995 was a significant day for our community. Preparing to transition to our newly built monastery we were anticipating the remains of our deceased sisters to arrive from Wilmington, Delaware where they temporarily rested in a Catholic cemetery not far from our old monastery. It was an appropriate day for the transfer, not only because it marked the solemn liturgical feast of All Souls, but also because the day itself was absolutely“otherworldly”. A dense fog hovered over the Berkshire hills that day and as I stood and watched the proceedings all taking place in “shrouds of midst” I couldn’t help thinking that our deceased ones were very near and that I was somehow witnessing a scene out of Dante’sDivine Comedy. However, the beautiful part of the whole experience was that we were all together again, all seeking our home in the Sacred Heart, though at different phases of the journey. The concept of home is a fascinating one. It truly gives one a certain perspective on everything because innately we strive (like a homing pigeon) to get to the place we belong. In the revelations of the Sacred Heart to Saint Margaret Mary, Jesus is inviting her into the unique place of His Heart and asking her to share this invitation with others. Because she lived in France, one of her last earthly acts was to extend to her country (especially to its rulers) the suggestion that they make a consecration of themselves to the Sacred Heart of Jesus. History showed that this consecration was very slow in coming and that its delay was to cause great turmoil to many souls. 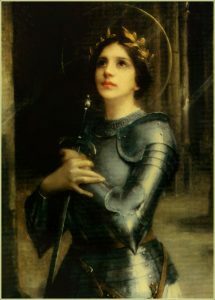 Recently, a sister passed along to me a short summary of the life of St. Joan of Arc and I was again reminded of a similar dynamic taking place as Joan tried to convince others that her mission came directly from God. A bishop who ultimately tried to deceive her was to receive these words from Joan:“You say that you are my judge. Be very mindful of what you shall do, for truly I am an envoy of God and you are placing yourself in great danger. I warn you of this so that, if Our Lord punishes you, I will have done my duty of having cautioned you.” The straightforwardness that emanated from Joan’s pure soul was no match for the crafty politicians that wished to discredit her. Although she would die at their hands, her final vindication was a glorious one. Being an art major in college, I loved to study the different schools of painting and came to admire many of the religious masterpieces. 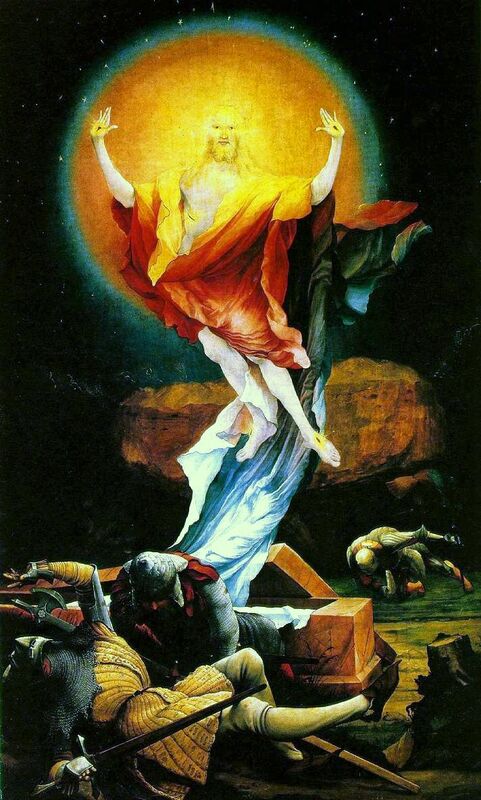 There is one resurrection scene depicted in the lsenheim Altarpiece that especially holds my attention because it shows Christ suffused in light as He rises out of His tomb. Christ is our light it boldly asserts; that is the message in this particular art work and we are summoned to walk as“children of light”. So, in essence, Christ invites us to draw near to Himself, to His divine being, to His divine heart which is the center of light and the true home of light. Now finding “someplace” where we can call home is a timeless essential of our human condition. The history of our Christian faith verifies that landscape and spirituality go hand in hand. 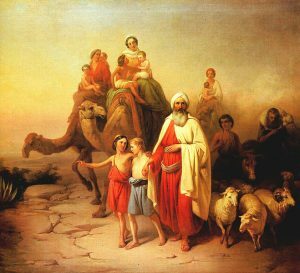 We read of the life of the first desert father Antony, seeking out a high and remote hill in Egypt for his sojourn with God. We are told that “Antony, as if stirred by God, fell in love with the place.” Or we encounter in the Bible a strong preoccupation for finding the perfect land, the land of promise where God will bestow gifts in superabundance, flowing with milk and honey. Even in the life of Saint Margaret Mary we discover the importance of being in just the right place in order to fulfill one’s God-given mission; as we see in the inner confirmation given to the saint when she first entered the Visitation Monastery at Paray-le-Monial, “This is where I want you.” (These were the words she heard in her heart). On the other hand, we know that God is not limited exclusively to any one place. God, as the scripture scholar Samuel Terrien notes in the title of one of his books, is an elusive presence. God cannot be pinned down to this or that shrine, temple, or sacred dwelling. As the prophet Nathan warns David when he plans to build the Temple, no one can presume to build a house for God … for as Solomon declared, “Lord, the one who dwells in thick darkness”, will not remain “on call”. This is the consistent proclamation which issues from the mouths of the prophets. What seems to be absolutely necessary for approaching the living God is the relinquishment of control. Stripped of all ego-centric concerns, one enters into a wilderness where the true meaning of place and presence is slowly absorbed and understood. In the words of Walter Brueggemann (another eminent scripture scholar): “Landlessness becomes the setting for the boldest gospel of newness. It is in the emptiness of Israel, exposed and without resources, that the promises are received with power, that risks are run, and hope is energized.” It was in the insecurity of not possessing a sure place of refuge that the faith of our biblical ancestors blossomed into maturity. The underlying point of these observations is that earthly possessions, earthly power, earthly anything needs to be placed in its proper perspective. Of course, our materialistic age will have no qualms about squandering resources for its own satisfaction, but this approach of self-fulfillment has never proved effective as a means to reach the real satisfaction that the soul craves. Story after story abounds where those who have it all remain in a state of disenchantment because they have not experienced the transcendent presence of God in their lives. As Father Robert Spitzer, S.J., notes in his “quartet” of books on the importance of “yearning for God”…“we need to reach beyond the material world into the domain of perfect truth, love, goodness, and beauty.” In other words, if we are not striving for values that echo the Heart of God then what we now have will ultimately turn to dust and ashes. We see this powerful dynamic of faith in the revelations of the Sacred Heart. Entering in a certain monastery (Paray-le-Monial, France) and living a very confining lifestyle, Saint Margaret Mary would be exposed to many human limitations. What seemed impossible for her to humanly accomplish would in God’s own time and way be attained. Her mainstay throughout this painful process was the endurance of her faithful love. The Lord’s words to her “if you believe you will see the power of My heart” did prove true, for the message entrusted to her broke through her monastic confines to spread to every corner of the world. The connection between “placelessness” and faith is something that frequently comes forth in the stories of the Bible. Perhaps the best known is that of Abraham who is summoned by God to “go forth from the land of your kinsfolk, into the great unknown.” What God expects from Abraham is what is expected of all authentic believers — an attitude of faith, of believing, of hoping against hope. Here I can’t help thinking about the recent earthquakes in Italy and the destruction of ancient churches which stood for centuries and which in a matter of minutes were reduced to rubble. Anyone familiar with the recent foundation of Benedictine monks in Norcia, Italy, the birth place of St. Benedict and their amazing venture to resurrect Benedictine life in that locale were shocked to learn that the earthquake of October 30th completely took down just about everything they had so painstakingly recreated in recent years. Instead of turning their loss into a depressive gesture of hopelessness, they resolved to continue their presence in the area, stating that “their monastic life has entered an entirely new phase, one we never expected but in which we see, unmistakably, the hand of God.” So even though their home was taken from them, a deep reservoir of faith remains to anchor them in the Heart of God and to direct them in their future planning. Throughout some parts of our lives there are bound to be times when we will experience the pangs of displacement, homelessness, anxiety. None of us can be assured that there will be a permanent dwelling on this earth that will shelter us with the kind of love and care that our human natures long for. Perhaps the present moment in history gives us all pause to shudder over the possibilities of what the ensuing days may bring our way. 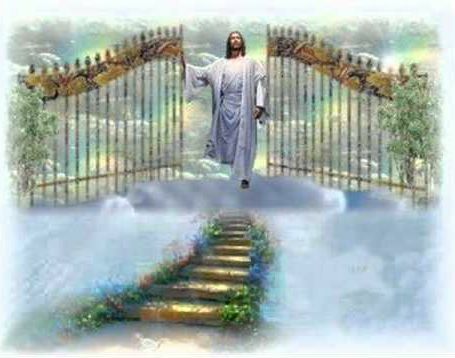 Yet even if we did find the next-to-ideal spot, we must be aware that our real hold on “the promise land” lay in our inward journey into the Heart of God. After all, it is the meek who will inherit the land… those who have known affliction, hardship, who have suffered a little while on this earth for the sake of Christ. Those who do not covet, those whose inner freedom allows them to maintain a certain detachment from the things of earth, those claiming nothing for themselves — these are the ones whom Jesus names as future inhabitants of the Kingdom of heaven.